Do young people wear pantyhose anymore? What about with a nice dress and dress shoes? Do I look young to you?!?! The things is, her message hit me like a ton of bricks that accidentally fell off the back of a truck. Pantyhose? I don’t KNOW if young people wear pantyhose! Wait a minute…why don’t I know?! My finger used to be securely on the pulse of fashion! And now I can’t even remember the last time I saw an US magazine! Much less Glamour! Or even got dressed up myself or *gasp* had a haircut! And then it hit me. I am out of date. Now wait just a minute, you say. And by you I mean those people who know and love me despite my caterpillar eyebrows. You’re there telling me I’m fun! I’m great! 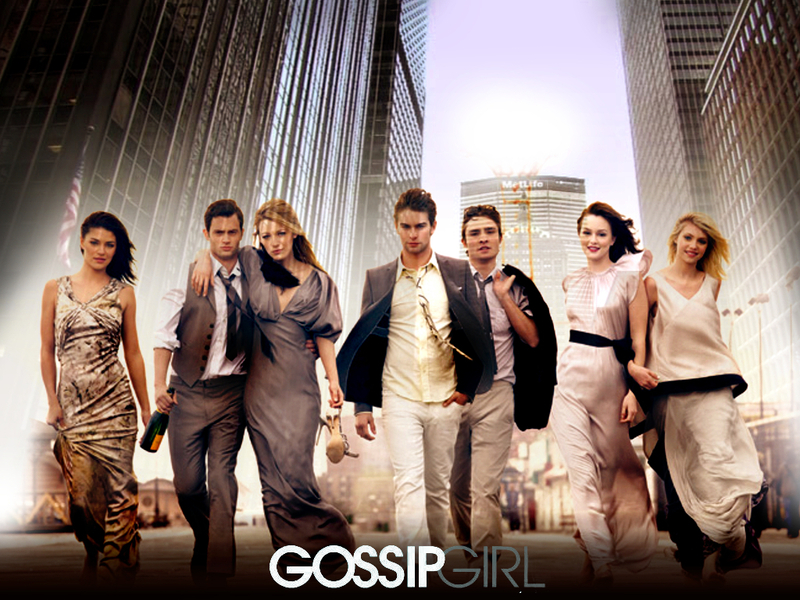 That I love Gossip Girl! I know I see a lot of bright colored tights…. And she decides to go barelegged. Oh well. You win some you lose some. Just how did this happen anyway? I realized that most of my friends are married. Many of them have kids already or are well on their way, and my life just isn’t as dressy as it once was. I don’t go out dancing or even to an office where I need to ‘dress to impress’. It’s sad that I might just be out of weddings to attend for a good while and while it may be easy on my wallet, it sure would be nice to party with the grown ups. It’s just another one of those things that I didn’t see coming. Most days I love my life exactly as I live it. And others I just feel plain left out. I think I need a makeover. Or maybe just a reason to wear pantyhose. Or not. I still don’t know the answer. I knew I was old when all the clothes that I wore in the 80's became popular again. As for pantyhose, I can't say I see anyone under 60 wearing them. LOL, glad I could be your muse for the day! I'm so glad that I'm not the only one who feels this way. I went to a wedding this weekend and felt like an udder fashion disaster. I finally booked myself a haircut on Wednesday…its been since October. Geez, I'm an old person and I don't wear pantyhose anymore! Let's go shopping (ahem, target, h&m, f21 thanks to the budget, unfortch) and get fashion-y together! I guess I'm showing my age here, but do people these days really wear no hose with a gown? Dress shoes? Yuck! Very uncomfortable and nasty sweaty feet! And Regan, yes to shopping please! I still haven't been to H&M here! eh em… i'm always up for shopping, ladies. duh.